Notes: Common in grassland and mossy areas throughout the British Isles. 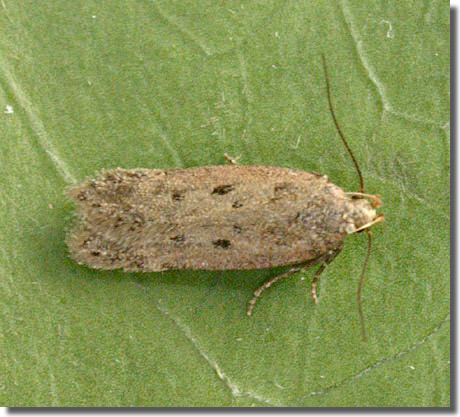 Widespread and common in Hampshire and on the Isle of Wight. Wingspan 13-17 mm. A plain brown micro and therefore decidedly overlooked and under-recorded, the main confusion species are B. desertella and B. politella, but these are both extremely rare in Hampshire. Larva feeds on various grasses and mosses, living within a silken tube or tent.